You are at:Home»Toys»Weekend Round-up and Open Thread, Anyone? Bueller? Weekend Round-up and Open Thread, Anyone? Bueller? 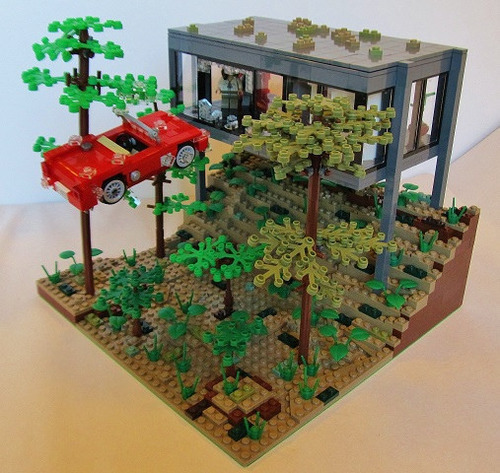 -A Lego Ferris Bueller diorama just won a Swedish “Adult Fans of Lego” contest, where the goal was a build based around a vehicle. -My wife asked to borrow my absolute nerdiest outfit for an audition. Did I do good? -A robot that can do your dishes, really slowly. -EPCOT is replacing Norway’s “Maelstrom” ride with a Frozen attraction that I’m sure Norwegians will be happy to claim as patriotic triumph…not. -The new Equestria Girls 2 trailer is pretty terrible. –Grand Theft Auto for PS4. Let me preemptively say it will probably be sexist. -Yes, goddamn it, I am dying to try Burger King Japan’s new black burger. Grrrrr. Since I can’t, let me brood over here with my Crow soundtrack. -Oompa, Loompa, Doompa Dee Raptors, Charlie and the Chocolate Factory has missing chapters.